Large data sets can now be quickly analyzed to assess whether or not certain features, previously deemed unimportant, can actually affect the chances of a research paper being accepted for publication. In this post, James Hartley looks at new research on weekly submission dates. The U.S. military's innovation incubator, the Defense Advanced Research Projects Agency, has signed the Center for Open Science to create a research claims database as DARPA's first step to assign a 'credibility score' to social and behavioral science research. A text analysis of nine years of grant abstracts submitted to the NSF indicated that what researchers say and how we say it can foretell the amount of funding we are awarded. They also show that the writing funders idealize may not always match up with what they actually prefer. Publishing an article in a reputed academic journal is no mean feat. From the initial grant proposal, through to writing the paper, formatting it to meet journal guidelines and then waiting for peer review to be complete, a huge amount of time and work is required. And that’s assuming you’re accepted first time! Here's how we counsel people about this at SAGE. Plan S represents an exciting example of the scholarly community mobilizing to create funding requirements that could lead to an open access future. However, the plan has also raised a number of legitimate concerns, not least the absence of any incentive for publishers to lower journal costs. Brian Cody suggests how simple adjustments to the proposed article processing charge cap could encourage publishers to reduce costs and so free up funds for other open access projects. Is scholarship that doesn't appear in the Social Science Citation Index -- a commercial index of ‘internationally leading’ journals in the social sciences, compiled by Clarivate Analytics -- worthless? Before you say 'Of course not,' know that some universities essentially are saying yes. How Should I Approach Reviewing an Article? Most early career researchers receive little to no training on how to peer review, and it’s not always easy to find consistent or helpful guidance. Here, during Peer Review Week, Katrina Newitt offers some helpful advice on how to get started. Standards are high and getting an academic article published is not easy, but there are certain things you can do to improve your success rate. 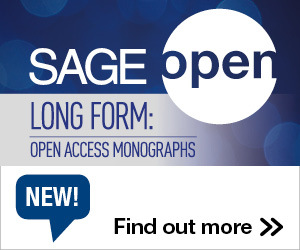 A member of the SAGE Journals Author Relations team -- SAGE is the parent of Social Science Space -- offers five tips on the smartest way to navigate these challenges. How can the impact of an academic article be measured? It seems that everyone wants to find an answer to this question – from the researcher and author teams that create research articles, to the editors and peer reviewers who curate them, to the societies and publishers who ensure that the articles are released to the world. The literature review is a staple of the scholarly article. But when reviews misrepresent previous studies or suggest there's a paucity of information when there isn't, doesn't,this degrade the knowledge base? Richard P. Phelps argues that, given the difficulty of verifying an author’s claims during peer review, it is best that journals drop the requirement for a literature review in scholarly articles. In the latest iteration of a survey series she's been running for four decades, Carol Tenopir aims to assess the value of access to scholarly journals by examining patterns of use and reading. Your input is sought. Peer review has become a major editorial challenge for publishers worldwide, but options do exist to help tackle fraudulent peer reviewers. In this post from the Publons blog, some options for what publishers can do are examined.